Following my recent trip to Greenland I’ve now been to all eight arctic nations (defined as having some territory within the arctic circle – in the case of Iceland only just, half the island of Grímsey just sneaks in) I’m going to attempt to list them out, as much as a way for me to keep track as anything else. Pretty much without exception these were all incredible trips, I won’t write much about them now but hope to fill out the details for at least some of them on this blog at some point. Probably the country I’ve been to the most. Various other trips to Oslo, Bergen and Tromsø. Only been once, went to Stockholm and ran in the midnattsloppet (literally midnight race), a nighttime 10k road race around the island of Södermalm. Couple of trips, once to Helsinki and a road trip from Tampere to Karelia. Flew to Kirkenes in Norway, then got a mini bus to Murmansk on the Kola peninsula, spent a few days there then got the train down to St Petersburg. Two week road trip around Alaska, taking in Anchorage, Seward, Homer, Talkeetna, Fairbanks, and Whitehorse in Yukon. Went to the Yukon as part of the trip above. Recent trip to Greenland as I’ve written about on here, also a trip to the Faroe Islands in June 2005 as part of a three week trip to Shetland, the Faroes and Iceland. Once as part of the trip above, and a road trip last year around the North West fjords. I kept a journal on the 2005 trip I did to Shetland, the Faroes and Iceland so I’ll probably write that one up next. It’s the longest I’ve ever been away and confirmed my love for the far North. 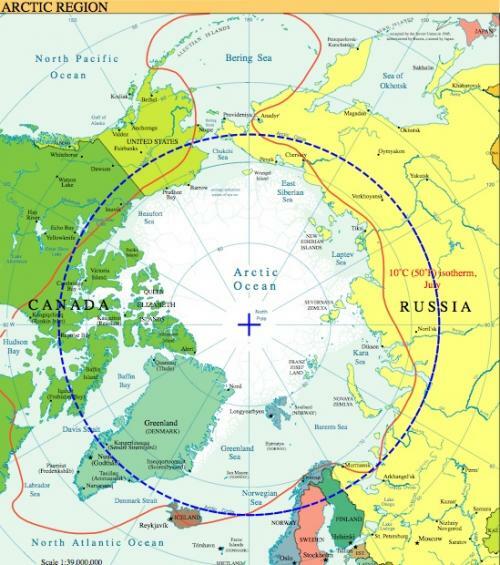 There are actually two ways to define the arctic, either anywhere above 66° 33’N, or anywhere North of the 10 degree isotherm, where the average temperature of the warmest month (July) is below 10 degrees. Both of these are depicted on the map below.